Find balance and relief through this ancient practice. The roots of traditional Chinese medicine are in the knowledge of qi. Qi – or life energy – flows throughout our body entering our tissues. There are 14 channels, or meridians, that disperse this energy throughout the body. When they are blocked, there is an imbalance of qi – which is said to illicit illness, and injury. Thought to trace back to as early as 100 BC, this treatment stimulates nerves throughout the body. This is through the application of needles to specific points. 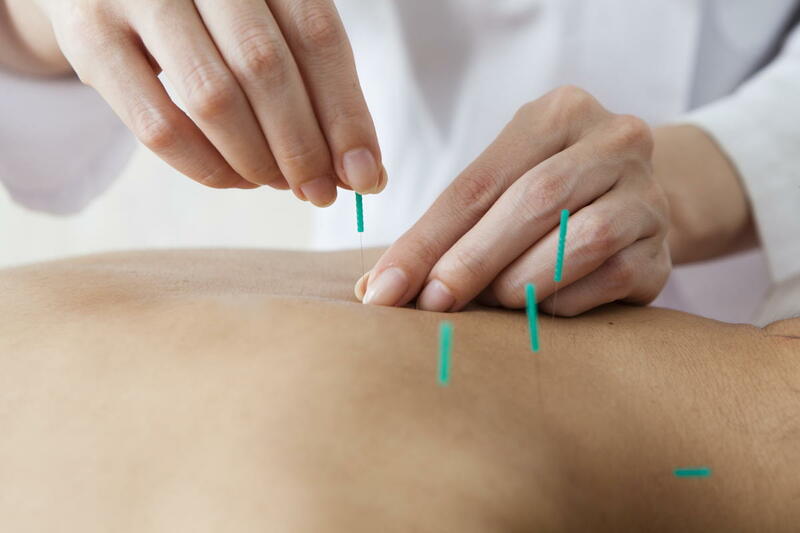 These needles restore the body’s natural balance and have been proven to relieve chronic pain. In 2012, studies involving around 18,000 patients found it to be a suitable alternative treatment to traditional medicine for many types of injuries. You should always seek out a licensed professional for any acupuncture treatment. Due to the nature of acupuncture, both expertise and the appropriate environment/equipment are required. Our acupuncturist will conduct an initial physical evaluation, including potentially examining your tongue. While it may not make sense at first, this is a very old component of this practice. When Chinese doctors began practising acupuncture, they diagnosed based on observation. The tongue tells a story about what is happening throughout the rest of the body. This is based on shape, colour and texture. Once the acupuncturist has an understanding of your condition, the needles are carefully placed in and around the area. If you’re seeking treatment for arthritis, the needles will be placed in specific acupoints around the joint. These are very specific as they stimulate the nerves that run through it. This increases the circulation of nutrients through the affected soft tissue, aiding the healing process. Treatments usually last up to 30 minutes, leaving you relaxed, and you pain relieved.